Active: Vastly reduce damage taken for 1 turn. Change board to Water, Wood, Light & Heal. LSkill: 5x ATK for Wood and Light. Increase orb movement time by 2 seconds. 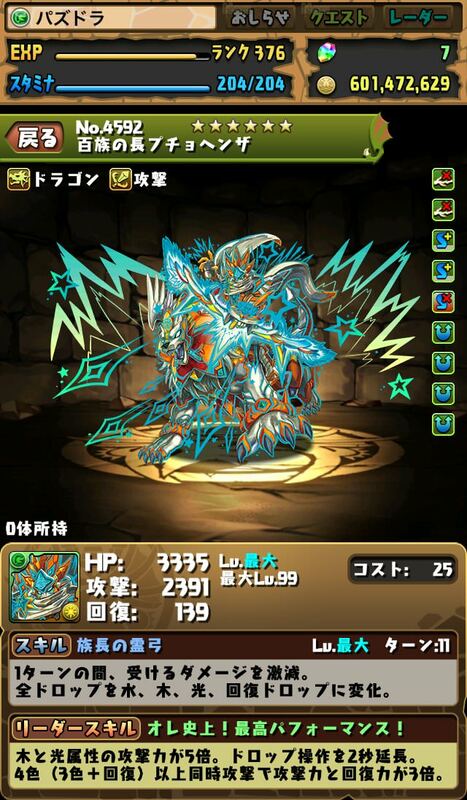 3x ATK & RCV when matching 4 attributes (3+Heal). Active: 5 turn Awoken bind recovery. Change left column to Heal, Right column to Water. 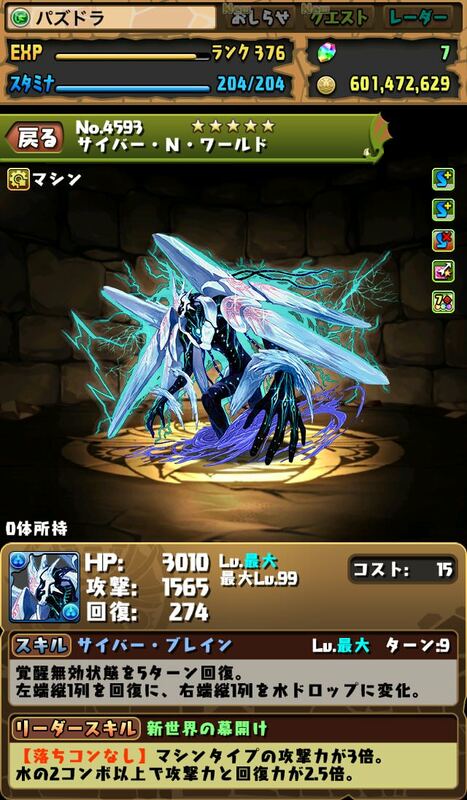 LSkill: [No Skyfall] 3x ATK for Machine. 2.5x ATK & RCV when 2+ combos matched. Active: Remove orb locks. Change Light & Bomb to Dark. 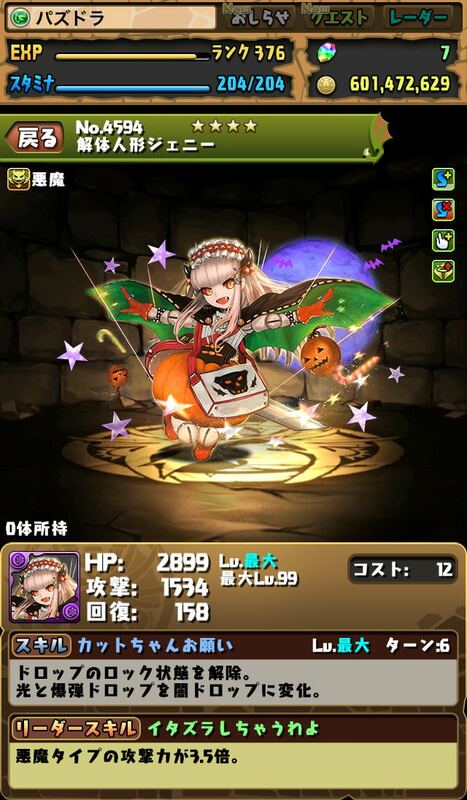 LSkill: 3.5x ATK for Devil. LSKill: 1.5x HP Dragon -> 2x HP & ATK Dragon. LSkill: All stat buff for Dragon & Devil -> 1.5x All stat Dragon & Devil. Max number of orbs required for full multiplier adjusted. LSkill: 4x -> 5x ATK when 6+ connected Fire/Wood matched (25x when 6+ connected Fire and Wood matched). Scrolled immediately down to comments to see if anyone else saw that. Oh no. They've learned how to use the internet. Why the F would you use dios? But there's a L inbetween R and D in "World"
Actually, for Cyber N' World LS, it's 2.5x ATK & RCV when matching 2 or more water combo.